Located on the North West tip of the Wirral peninsula in Cheshire, Royal Liverpool Golf Club is one of the oldest and most influential golf clubs in the country. Playing here, as at a handful of other comparably storied courses (and there are very few), the great joy is in allowing yourself to be swept up by the history of the place, as much as it’s in the pleasure of playing the fine links course itself. 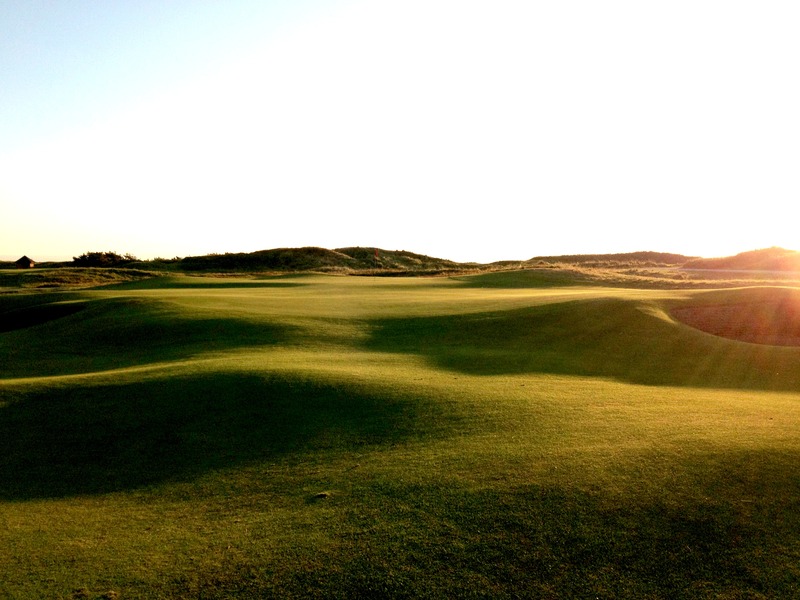 One of three ‘Royals’ that help make up England’s Golf Coast – a collection of 12 prestigious Championship courses on the Cheshire and Lancashire coastline – Hoylake, as it is most often known, boasts one of the most illustrious histories in the game. It’s a tapestry of golfing folklore: eleven Open Championships; the first playing of the Amateur Championship and English Amateur; the birth place of the Walker Cup in 1921 (though the first official match was the following year in the USA); and the second victory of the four that comprised Bobby Jones’ fabled Grand Slam in 1930. Inside the handsome clubhouse the golfing memorabilia leaves you in no doubt that this is a club that occupies a very special place in the annals of the game. And it’s from here that you first glimpse the links beyond, stretching out over what was originally the Liverpool Hunt Club racecourse. Built in 1869 by Robert Chambers and George Morris, the course design was later influenced by the great Harry Colt, and then more recently by Donald Steel and Martin Hawtree. While the linksland here may not be as dramatic and rugged as in some parts of the world, this estimable collection of architects have between them created a course that purists will relish and which presents an entirely fair test of golf. As at any links course, what’s ‘fair’ is to some degree at the mercy of the weather. The wind plays a formidable role in the nature of the course you’re presented with from one day to the next, and I’m sure when it’s really blowy, even the most benign of holes must seem devilishly difficult. But that’s where the quality of the course design comes to the fore, as, unlike some courses, I can imagine Hoylake remaining playable whatever the weather. Strategically and aesthetically this is a course that delights. Bunkers always seem to be in the right place (or the wrong place, depending on how you choose to look at it), greens are cleverly protected by sloping run-offs to collect anything that isn’t quite perfect, and the contours and directions of holes continually test your course management. I’m hard-pressed to think of a finer designed golf course in the country, and it leaves you in no doubt why Royal Liverpool has enjoyed the illustrious history that it has. The Open will return to Royal Liverpool for the twelfth time in July this year. Then, in 2019, the club will welcome the return of the Walker Cup, a fitting testament to the role it has played in the amateur game in what will be the club’s 150th year. As an Open Championship course it won’t surprise you to hear that the entire Hoylake course is a highlight. As with any course, there are some holes that are stronger than others and some that appeal more than others, but those views will always be subjective. For me, there were two particular stretches that were most memorable, and the first hole demands a mention too. The first is worth mentioning simply for the shadow cast by the imposing clubhouse immediately to the left of the hole. With out-of-bounds running the length of the right side of the fairway, the clubhouse encroaches more in mind than in reality. It certainly serves to concentrate the mind for your opening tee shot, which is played towards a corner from which the fairway turns sharply right towards the green. It’s a stern and memorable examination to get you underway. The run of holes from the par five eighth hole, through to the dogleg left par four twelfth afford the views, the furrows and the most dramatic design. Here, amid the sand dunes characteristic of links golf, shots require golfing nous as well as strategy. These are holes of nuanced design that demand similarly adept play to conquer the vagaries of the undulating fairways and punishing run-offs. The ninth and twelfth were particular favourites. The finishing stretch of holes play out in front of the impressive red-brick clubhouse, and while the linksland here is much flatter, the shrewd design makes these no less formidable a test. In fact, I’d argue that the challenge comes to something of a crescendo here demanding the very most from your game. Good execution of shots and course management is duly rewarded, but anything less will be punished. The pair of par fives – fourteen & sixteen – particularly stand out. 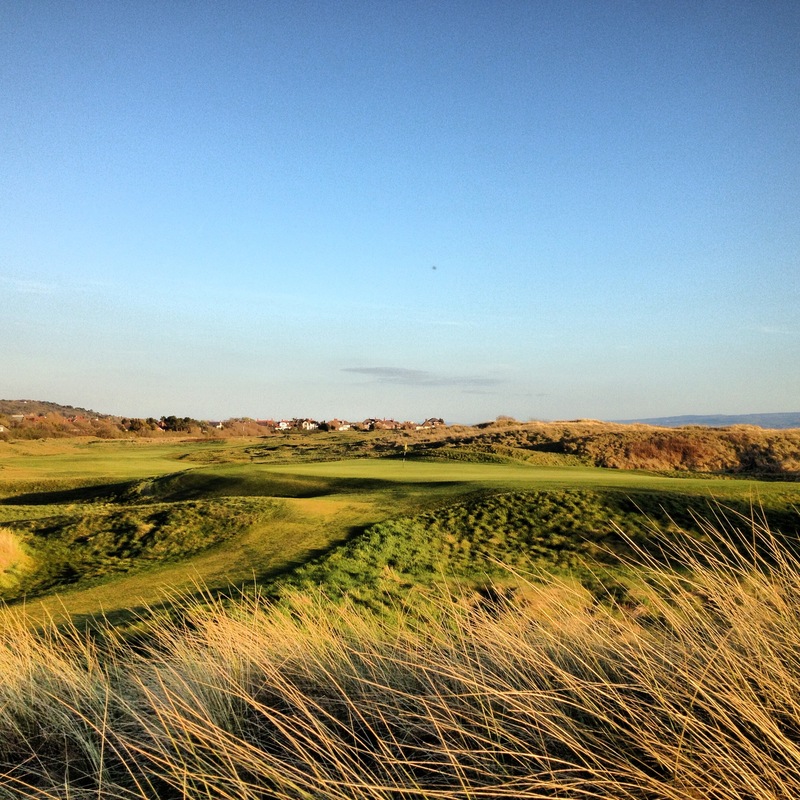 Hoylake is a fine links course that delights without ever defeating in the way some links courses can. This is a firm but fair test of golf. But to do justice to Royal Liverpool you have to take the experience as a whole and to play the course with the history of the club and its influence on the game of golf in the forefront of your mind. Anything less would be as unsatisfactory as walking in after nine. This is an experience that you should savour. Inside the clubhouse, which underwent a considerable and expensive (£2m) make-over before it last held the Open in 2006, you’ll find a collection unrivalled outside of St. Andrews. The array of medals, golf clubs, portraits, records, and even the original saddling bell from its racecourse days, is worth the visit alone. It’s the perfect complement to one of the best links courses in the UK, and makes the whole experience at Royal Liverpool Golf Club especially rewarding. So my advice would be to make a full day of it – embrace the history of the Club, enjoy a leisurely lunch, and tackle a fantastic golf course. You’ll get to see it in all its glory this summer, 17th – 20th July.